We now know that healing post surgical pain most effectively begins prior to surgery. Having a plan in place prior to surgery about how to manage pain and swelling is essential. Including acupuncture in your plan is becoming a common recommendation from modern surgeons all over the world. At Integrative Acupuncture in Montpelier and Williston, Vermont we frequently work with surgeons, physical therapists and other providers to set patients up for success- healing. We are experienced with helping patients become more comfortable after surgeries of all types as soon as possible post operation and provide effective and quality care for central Vermont and beyond. When surgery is required to treat cancer, physicians provide pain reducing medications for the post operative period. Physical therapy is also recommended for patients often after surgery. Months or years after surgery, pain may maintain. Some patients develop an addiction to stronger pain medications, like opiates. Modern surgeons know about acupuncture’s results to reduce swelling and pain and recommend incorporating acupuncture into a treatment plan post operation. Acupuncture can manage the pain levels while recovering and speed the healing process. It can help reduce dependency and potential addiction to medication. Just like acupuncture effectively treats pain in the back, shoulder and joints, it can reduce pain after surgery. Many people use acupuncture post surgery as soon as possible. In fact, acupuncture made its way to the US when Mr. James Reston, reporter for the New York Times, went to China with president Nixon in 1971 to report on the opening of the gates to China and the new relationship with the west. Too bad for James, he suffered an acute attack of appendicitis and had surgery. Lucky for the future of acupuncture in the west, Mr. Reston suffered post surgical abdominal pain and reported it to his physicians in China. He was promptly treated with acupuncture and his post surgical pain was eliminated (read the whole story here. At Integrative Acupuncture, we are experienced at managing your post operative pain. 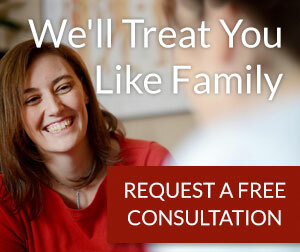 You can trust us to help you feel more comfortable and encourage healing. We work in UVM Medical Center C.V.M.C. oncology department and treat patients post oncology surgery. Whether this was a surgery to remove a tumor in the breast, a hysterectomy, part of the colon, or multiple lymph nodes, acupuncture can help recover more quickly. By reducing pain, we reduce the need for pain medication. We all know the dangers of the addictive nature of opiods. Using acupuncture as part of a recovery plan allows many people to reduce their need for opiate pain killers. We can also help patients detox from pain medications and reduce the withdrawal symptoms. We have trained in drug and alcohol recovery centers to provide proven treatments to help patients eliminate opiates. Let acupuncture complement your post surgical plan. We reduce swelling, reduce the need for pain medications, and speed up recovery times.